You will agree with me that for some time now #Google Adsense Cost Per Click was mitigated to as low as 0.03 Euros and 0.05 dollars barely a month ago. The questions asked doing this period was centered at providing the solution to this common base problem. I really do not have any idea or what ever why one of the highest paying advertising program, Google Adsense, experienced such a huge decline especially to there publishers. Some drastic changes came up, especially, in the month of March and i can say to myself that there has been a massive improvement to this. You may be having some low CPC at the moment, but here are the few things i would want you to know about google adsense cost per click. I am not guarantying you of a super boost or a radical incline to a single click on your ads, but what i am saying is that, it is very easy to have a low CPC than having a high cpc. Some of the causes of low CPC may be from the advertisers. But majority of the blames should be slammed on the publishers, because Google has provided you with almost all tools you would have needed to be successful in there adsense program. Several reasons may be the cause of a low Cpc. I have experienced that the beginning of the year does not always have a huge return in the google adsense program.Advertisers tend to have spent there money during the festive season, therefore, there would be no other cash to spend in the month of January and February. Some of you may ask if it also affects other months, all i can say is No. I know you were expecting to hear something like "Low Paying Keyword," right? This can also be among the factors but is not guaranteed of being the fault igniting the low cpc. Over the years, i have observed that a site with a great content has a role to play in moving you from one level to the other in terms of earning bigger on the google adsense program. Insufficient content could result to low cost per click. You must have a great content full website for you to be able to have that super click you have always wanted. Remember, your topic should have a way of driving the interest of your users to your ads too. But i warn, do not encourage any to click your ads. It does not solve any problem. It simply makes you look like a cheap thief trying to survive off peoples hustles.Write great content and become a King on that blog and you would see an increase in you cost per click. Up to 70 percent Adsense publishers do not know about this. And this is yet to be known by majority. I have observed that some advertisers can target a channel on your site to show his/her ads. If your targets can not explain your placement, then you would be missing quite a huge number of advertisers. Name your target. Go to your adsense dashboard and rename your adsense target so you can get the attention from these guys. Do you know that some ads type pay more than the others? He he he. It is so true. Why run four image ads on your blog while you can test for links ads too. Some links ads have some high cpc of up to 0.90 dollars. You may be overlooking some of these things but they are really true. Life is all about experimenting what works the most for you. If you got these ads on your site, try as much as possible to toss it around to see the best result after implementation. Try placing your ads in random positions. Do you know that some ads displayed on your site have a low bidding. You encourage these low bidding ads when you don't know how to use your ads block. You test some ads on your site with the daily revenue generated from the ads and see if you can use the ads block to mute some ads displayed on your site. Remember this is the testing stage and you own your decision. You ought to be careful while blocking your ads because you can actually block your high paying keyword. Is very difficult to have a high cpc when you belong to no niche. If you blog on a variety of topics, it could take a century for you to have a high paying keyword. Though i have tried the nicheless blogging patternt, but it was very difficult to stay in the game. I was a king of no kingdom till i finally pointed it straight to my readers that i was going to change my blog into an educational blog. Though there was a drastic decline on my traffic, my decision was beneficial. Please note that these may not actually be the reasons you are experiencing a low Cpc but may actually provide some solution to the current problem. I implemented some of this changes and saw some improvement. Though it was not huge, but it was impacting. You can try this and give me your reply via the comment box. 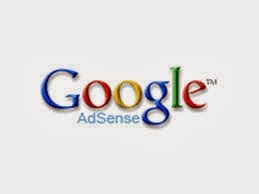 Great and very useful post in increasing adsense cpc.